Once you know how to knit and purl, you can combine these stitches in many different ways to make knitted fabrics with different sorts of characteristics. The combination or pattern of knits and purls is called a ‘stitch pattern’. 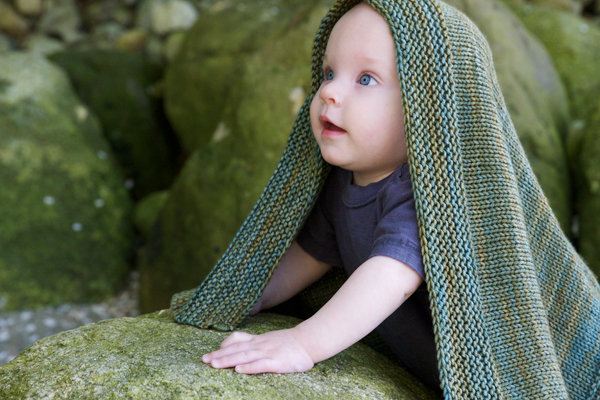 The Simple Collection designs use three basic stitch patterns: Garter Stitch, Stockinette Stitch, and Ribbing. 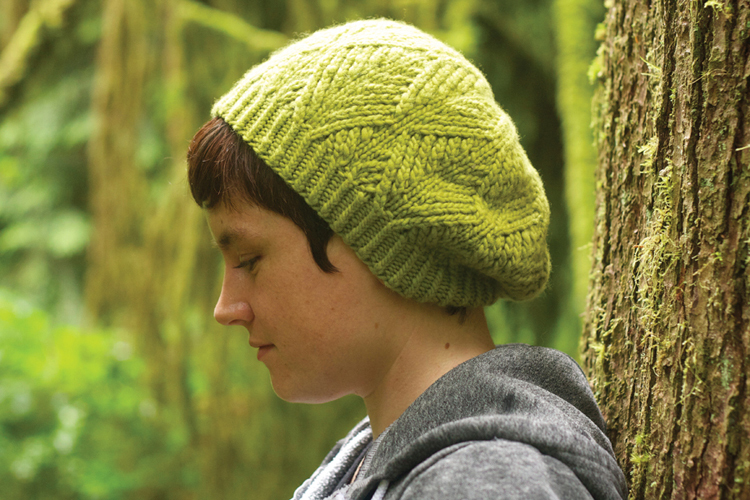 Grab some needles and yarn, and try them out yourself! 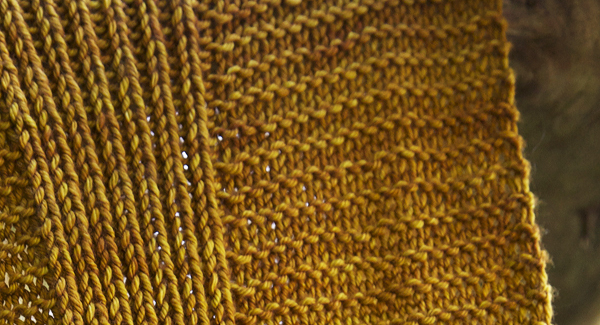 You make garter stitch by knitting every row, right sides (RS) and wrong sides (WS). Garter stitch is bumpy, stretchy, and lays nice and flat. It is reversible, it looks the same on both sides. 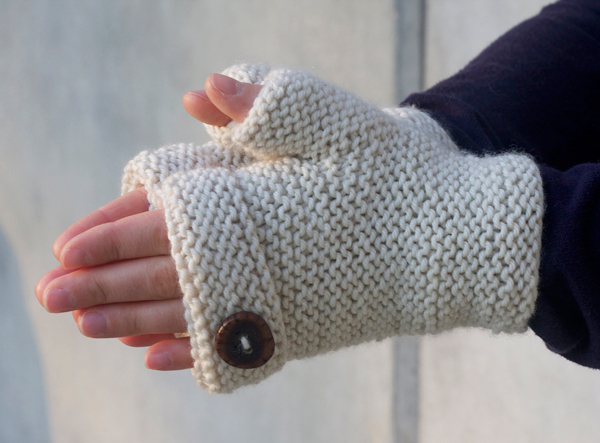 The Marshmallow mitts are all-over garter stitch, for maximum fluffiness! And because it is so simple and effective, we have used it really extensively in our Simple Collection designs (perfect for learners)! Stockinette stitch is made by knitting one row (RS – right side) then purling the next row (WS – wrong side), then repeating these two rows, so you always knit on the RS of the work, and purl on the WS of the work. Stockinette stitch is quite smooth on the RS or knit side, and has a uniformly bumpy texture on the backside (this is called Reverse Stockinette Stitch). 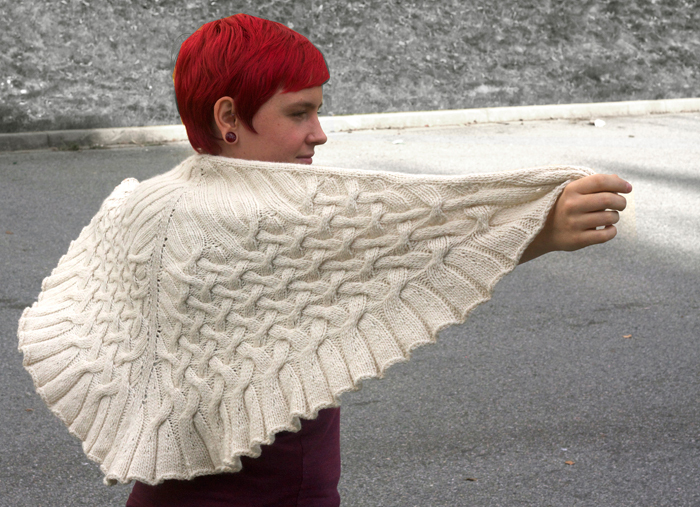 The body of the Antler Cardigan is stockinette stitch. 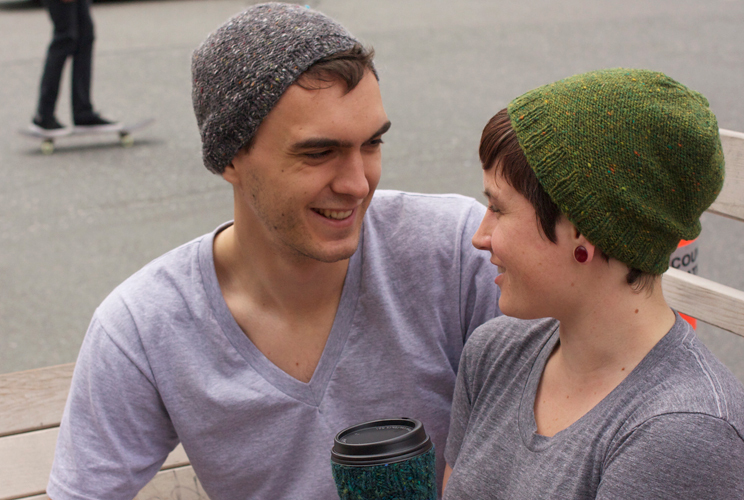 The Hipster hat is mostly reverse stockinette, for a rustic effect. Stockinette stitch, worked on its own, has a strong tendency to curl. At the side edges it curls toward the back, and at the cast-on and bind-off edges, it has a tendency to curl toward the front. This means a stockinette stitch scarf isn’t going to stay flat for long… But it is interesting to use this ‘curl’ as a design feature – like I did at the sleeves of the Low Tide cardigan, and at the neckline of the Raindrops pullover. A little rolled edge can be a cute and informal detail. 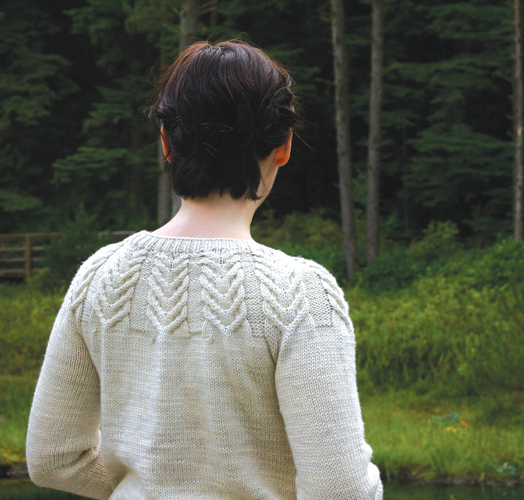 The neckline and cuffs of the Raindrops pullover have a stockinette stitch rolled edge. Ribbing is a general term for a set of stitches that alternate vertical columns of knits and purls. In the Simple Collection, we use a lot of 1×1 ribbing, which alternates 1 knit and 1 purl at a time. For Beginners ::: the most important thing to note is when you switch from a knit to a purl in a single row, you MUST move your yarn from the back of the work (where it is when knitting) to the front of the work (for purling), bringing it in between the needles (not over the needles, or you will create an extra stitch). A video illustrating this very important point is coming soon…! Row 1 (RS): (k1, p1) repeat to end. Row 2 (WS): (k1, p1) repeat to end. 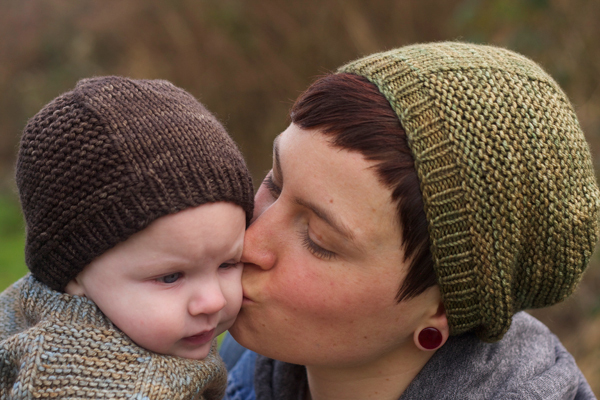 The Barley Hat (a free pattern!) 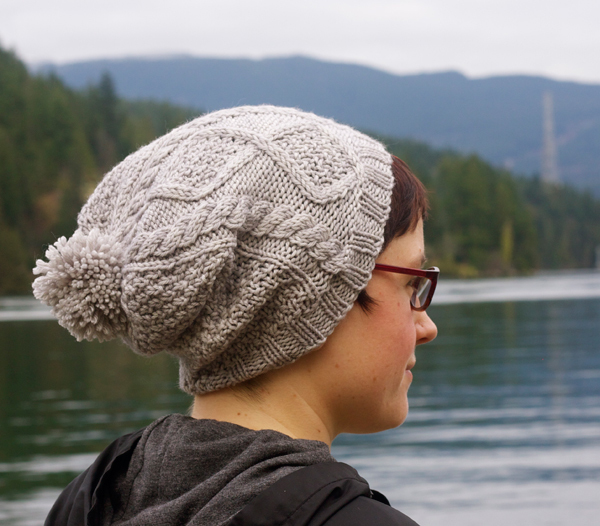 has a 1×1 ribbed brim. Repeat rows 1-2, and a pattern of columns will form. Another way of knowing how to knit the stitches in ribbing is to look at them. If the stitch looks like a knit (a little V shape) then knit it. If the stitch looks like a purl (a little bump), then purl it. It is as simple as that. 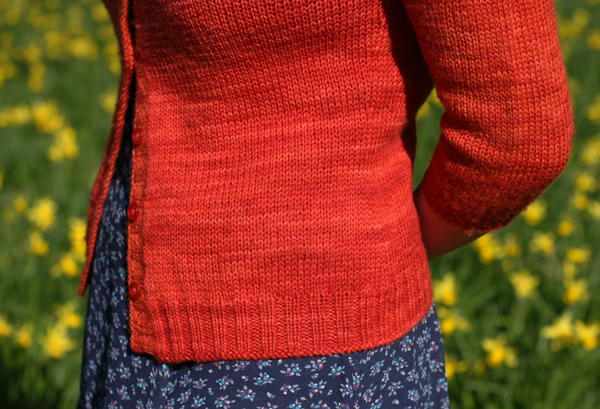 Ribbing is great for edges because it pulls in, so it is nice for necklines and cuffs. 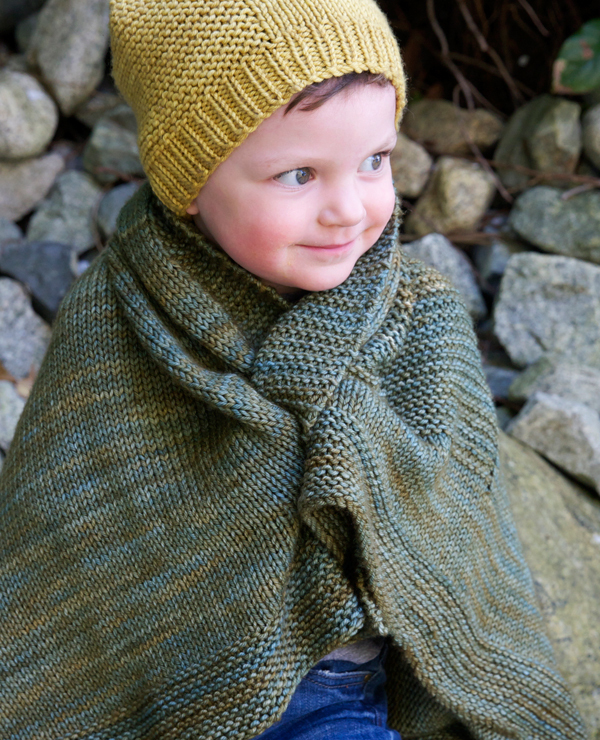 If ribbing has an even number of knits and purls (1×1, 2×2, or 3×3) then it is reversible and looks the same on the right side and the wrong side. This is great for scarves! There are an unlimited number of ribbing patterns. Perhaps you want a chunkier looking edge – try 2×2 rib (k2, p2) repeat to end. Or if you want a sleeker looking rib try 3×1 rib (k3, p1). Each pattern has a slightly different effect. See how we used 1×1 rib on the brim of the Sitka Spruce hat, and 2×2 rib on the brim of the Tofino Surfer hat, and really big 6×3 ribbing on the edge of the Drift? There are many different effects you can achieve. 1×1 twisted ribbing at the brim of the Sitka Spruce hat (to make twisted ribbing you knit into the back loops of the stitches). To create twisted ribbing, you knit into the back loop of the knit stitches. It has a unique ‘braided’ appearance, and is very firm and pulls in even more than regular ribbing. Hi! I am about to start the Flax sweater, my first ever sweater!!! I was reading though the instructions and wanted to clarify how to increase the yoke before starting the raglan section. Is there an increase that works best? Thank you so much…i should have looked through the blog first before posting because I found it soon after lol. Thank you for your quick reply though. I can’t wait to get started!! I am just starting the Flaxlight for a baby gift with a self-patterning sock yarn. The pattern will show up more if I skip the garter stitch panel along the sleeve – will the pattern work if I make this change? Thanks very much for your help. Hi Betty – your increases should come on either side of the marker, one before and one after. Does that help? I am making the flax sweater and my I stitch count is not coming out correctly when increasing the yoke. I’m doing for 6-8 year olds and have gotten to the rounds increasing with the kfb. When I get my 9 rounds done I have 150 stitches and not 174! Can you tell what i’m Doing wrong? Hi Becky – it sounds like maybe you are missing some of the increases. Each raglan round you should be increasing 8 sts, one on either side of the 4 markers. I’m knitting the flax simple pullover and the instructions are very confusing. In my memory garter stitch is knit both sides. i’m knitting the rye socks and there are 2 different types of ribbing in the cuff and the first part says rib until it measures 1.5″ and then the second part says rib until it measures 6.5″. does this mean until it measures 6.5″ in total or just the second part of the ribbing? There really isn’t a way, since ribbing ‘pinches in’ and stockinette is smooth. If you put the mittens on you might find the ribbing stretches to where the stockinette is. Alternatively you could work a decreases in the first round of stockinette, but I don’t think you want that, you want nice tight ribbing to keep your mittens on! wonderful tutorials and very nice patterns! THANK YOU!! The simplicity of these patterns is not only beautiful but the foundation of the art of knitting. Although I love lace, cables etc. the foundations reveal, at least to me, the skill of the knitter. Just beautiful work! Love the Barley Hats!